Thanks to EMMA STONE for doing this interview for us! 2. 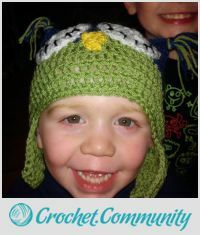 What is your “inspiration story” — where did your interest in crocheting all begin? 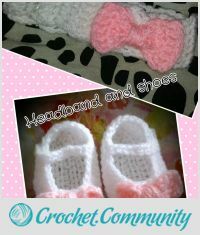 I was first taught to crochet by my maternal grandmother, However after about 2 months I gave up. I was only 8 or 9 and just couldn’t get my tension right. I picked it up again about 7-8 yrs ago. A magazine came out called learn to crochet, My mum asked me to pick her one up from the shop. I picked myself up one too. Since then i have never looked back. 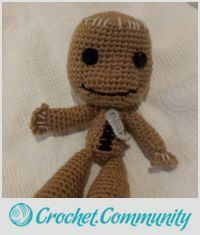 Using many ways to learn new techniques through crochet blogs and youtube. 3. What is your dream project? My dream project is a crochet and fabric dress for my daughter. I have seen some beautiful ones out there and would love to have go, I just need the courage. 4. What has been your greatest challenge so far and how did you overcome it? 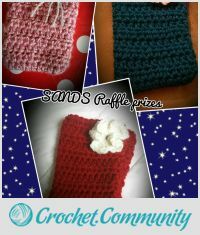 The second was a crocheted sack person for my son Damien. He is besotted with the character who is from a video game called little big planet. I just had to surprise him for his 6th birthday. Needless to say the hard work payed off because he loves him. 5. 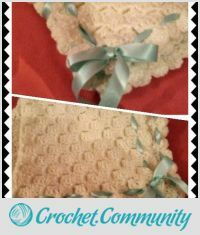 What is the greatest gift that crocheting has given you? One of the greatest gifts crochet has given me is friendship. Through my craft I have made many new friends, including a lovely lady who owns the local wool shop :) I help her to make items for craft fairs and we can chat for hours. 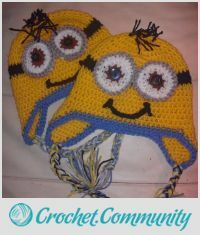 The greatest friendship I have from crochet is with my mum, Its a craft that my 2 sisters could never grasp. My mum and I have a sister-like relationship and like nothing better than going wool shopping. We can sit there for hours crocheting away without a word being said and still say what a lovely afternoon. 6. What words of wisdom do you have for someone beginning to crochet? For anyone just starting out all i can say is never give up! There were times where I struggled so bad with the little things like tension, gauge and worst of all turning stitches, when I first made a square it ended up a triangle lol, There are some wonderful teachers out there who make the craft click! There is no better feeling than completing a project and seeing the delight on the persons face who receives it. I love the sense of accomplishment that I get from my craft and I’m sure you will too. I had to look that one up, although I knew what it meant … “ribbit ribbit ribbit” << now that’s funny…. that will make ripping out the stitches so much easier! I loved reading you inspiration story and it sounds like you have a full plate yet still find time to help others! That is great! Hope to see more of your work in the future!